We clean your kitchen exhaust and duct system from head to toe. We are local kitchen exhaust and canopy cleaners in Melbourne. Singhz provide kitchen canopy cleaning, exhaust fan cleaning, restaurant cleaning and deep equipment cleaning services in Melbourne. We aim to deliver the highest standards of cleaning. Our cleaning of canopies will remove all carbon, grease and fatty deposits. Singhz canopy cleaning also improve airflow and ventilation of your kitchen. This will reduce the risk of fire. Kitchen canopy cleaning is vitally important for the cleanliness, hygiene and overall efficiency of your commercial kitchen. We offer our service in Schools, Hotels, Restaurants, Golf Clubs, Pubs and Care Homes. Singhz serve more commercial properties throughout Melbourne. We are specialists in restaurant cleaning. We also clean smaller canopies and domestic ranges. Singhz commercial kitchen cleaning services provide a full range of restaurant kitchen cleaning services in Melbourne. 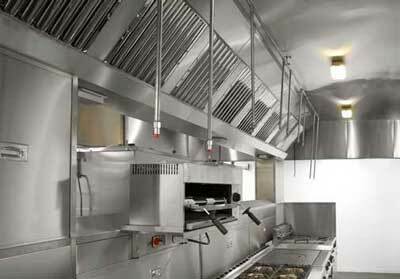 We clean your kitchen equipment, exhaust canopy, grease channels and the exhaust fans in your kitchen exhaust system. Our restaurant kitchen canopy cleaning services can provide a full deep cleaning of your commercial kitchen. We work individually or as a team depending on the size of your venue. Singhz are best commercial canopy cleaners in Melbourne. We clean your kitchen exhaust and duct system from head to toe. Our canopy fan cleaning services in Melbourne include exhaust canopies, exhaust fans, ducts and filters cleaning in your commercial kitchen. Our well trained commercial kitchen cleaning team in Melbourne will arrive at a time best suited you. Our deep equipment cleaning is the best way to keep in accordance with all health and safety regulations. Why Singhz canopy exhaust fan and grease filters cleaning? We are experienced hardy and professionally trained canopy cleaners in Melbourne. Singhz Restaurant Cleaning will improve ventilation for smoke control and odour control. Singhz Canopy & Filter Services can offer scheduled filter servicing keeping your kitchen safe. 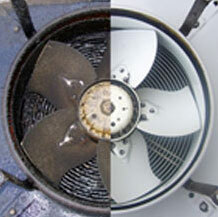 We remove all grease and flammable residues from the interior surfaces of the canopies, ducts and fans. Our kitchen canopy cleaners in Melbourne mainly focused on ensuring your kitchen is Firesafe. Very reliable and excellent job. I had to change something in the certificate that they issued and there was a no hassle in business at all. Thank you again. All kitchen canopy cleaning work carried out to a great standard would highly recommend Singhz Canopy Cleaning for outstanding service and value for money. Singhz Builders Cleaning Services are the most professional cleaners I have used. Their standard of cleaning is exceptional. I would strongly recommend them. Coming up to summer, we really wanted somewhere outside where we could entertain guests. I`m really happy with the design we settled on, which looks great and is easy to maintain. A job well done! Gardening has never been one of my strong points. So it was great to hear about Singhz Lawn Mowing operating locally and at such reasonable prices. The work I`ve had done so far has been excellent. No doubt some repeat business is to be expected! We are kitchen canopy cleaning specialists in Melbourne.